Did the Easter Bunny find your home today? He found ours and left the girls lots and lots of eggs. I took a few photos for you. I also made a card today. I kept this one pretty simple. Made this card mainly because I wanted to try out my Illuminate ink over Rich Razzleberry card to see the result. I stamped the ink with my Papillon Potpourri stamp set. I think the look is quite subtle, but you can see it quite well, like a silvery shimmer. I've used some Sycamore Street Dsp from the Sale-a-bration Promotion on this card and some flowers from the Pop Up Posies kit with a Vintage Brad. The big butterfly from the set really looks lovely in the Illuminate Ink. I'm glad I tried it out on this colour. Thanks for popping in. Hope you have a fantastic Easter. I've had a little play with the Pop Up Posies Kit today and this is the card I made combining those products in the kit from the Seasonal Catalogue with Leaves Framelits from the Secret Garden Bundle, Honeycomb Embossing Folder and Papillon Potpourri Stamp set and matching Bitty Butterfly punch. The patterned paper is from the Pack called Tea for Two. Cardstock is Soft Suede, Pool Party, Lucky Limeade and Very Vanilla. Thanks for dropping by. See you again soon. You may not recognise the papers used here. They are from an old SU retired pack called Fall Flowers. I've teamed them with Cardstock of Pool Party, Very Vanilla and Cajun Craze which is a colour I rarely use, so this is quite a different colour combination for me. The brad is from the In Colour pack and the ribbon is from SAB. Thanks for stopping by to see my card. Please feel free to leave me some comments as I'd love to hear what you think of it. So without further ado, here is my card. I confess, this uses retired stock. Chocolate Bunny is an older retired stamp that was available only for a short while in a Mini and also last years SAB papers, which were rather pretty I thought. I made a few of these cards last year, and thought, why reinvent the wheel, right? I don't generally send Easter cards, just the odd one, so my classes don't involve a lot of Easter projects either, because most of my ladies are of the same mind. Anyway, as this is appropriate for this time of year, I thought I would share it in the Gallery. Cardstock used is Pool Party, Calypso Coral, Naturals Ivory and Very Vanilla. Hope you all enjoy the Easter Break whatever you're doing and please stay safe. It's this really interesting sketch that I thought I would try as I absolutely adored some of the design team samples this week. Here is my take on the sketch which I extended slightly to make a Square card. I've used the Blackboard technique with the background stamp Pleasant Poppies and the Friendship Preserves set for the greeting which I've teamed with Primrose Pink, Pool Party and Basic Black cardstock. and More Amore Designer Series Specialty paper. Thanks so much for stopping by to view my card. Please leave me a little blog love while you're here. Welcome to my blog from Queensland, Australia. The sun is shining and it's a perfect day. 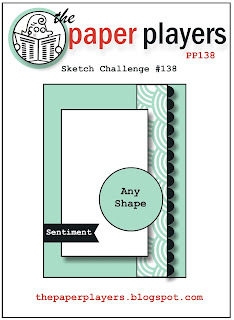 It's time once again for the Paper Craft Crew Sketch Challenge. Here is my card for the Design Team. The sketch is quite simple. It's up to you how much detail you would like to add. I've used the Oh Hello set for my centre image, coloured with markers direct to the rubber and cut out with the Labels Framelits. My patterned paper is from the pack called Tea for Two and I have partially embossed the background (Pink Pirouette) and the Label Matt (Crumb Cake) with the Lacy Brocade Embossing Folder. Added Lace and Brad gives a Vintage Feel to this card as well as a little inking along the edges. The buttons are from the Twitterpated pack and the greeting is a single stamp purchased in a kit called Pop-Up Posies Designer Kit. The blue shades in the challenge are colours I like to use often. Not the Daffodil delight, so much, so had to put on my thinking cap for this challenge to come up with a card that I was happy with. If in doubt, I usually go with butterflies. I've used stamps of Everything Eleanor, Perfectly Penned, En Francais and Papillon Potpourri with Beautiful Butterfly Bigz die & Elegant Butterfly punch for my layered butterfly, plus Ovals Framelits. I've also added texture with embossing folders of Fancy Fan and Vintage Wallpaper. The Pin is non SU from my stash through the Satin ribbon which is retired also from my stash. The top Not Quite Navy butterfly was stamped with Illuminate ink. I've used some Designer Series Papers from the pack called Tea for Two from our Seasonal Catalogue along with stamps from Oh Hello and Papillon Potpourri stamps sets and co-ordinating Butterfly punches, Ovals and Bitty Banners Framelits and Little Leaves Sizzlits die. The Embossing Folder on the background is Vine Street that I earned from the recently finished Sale-a-bration promotion. I've also used the Square Lattice Embossing Folder on my layered Elegant Butterfly and large banner. The Colour challenge is at Fab Friday and it's not one I have often had a chance to play along with, however I was drawn to these colours below. Today I finally finished a card that I'd had half done sitting on my desk for a few weeks now. It uses a set called Fabulous You that I received as a Birthday gift last year from my (Dear, Kind and Wonderful) Friend Marian. The main image of the Stamp set is a shoe, which I've stamped onto Elegant Eggplant cardstock with Whisper White Craft Ink and I've sprinked my Frosty Glitter mix on of Dazzling Diamonds and Heat and Stick Powder 50/50, and heat set. I've cut the piece out with my Top Notes Die and also created an Easel card with the die using a base card of Wisteria Wonder. I've lined the base with Very Vanilla and I've used some Silver Glimmer paper cut with one of the Apothecary Accent Framelits for a mat. I've added a double layered butterfly to the base and added the Happy Birthday greeting to the top using Itty Bitty Banners set. a bit of a load lifted considering how busy my week was with a number of appointments including Drs, Dentists, Specialists and Teacher plus a funeral. I've used a number of new products from our Seasonal Catalogue including Print Poetry Paper Stack, Secret Garden Bundle, Paper Doilies and Bitty Butterfly punch. I chose a colour scheme of Pool Party, Early Espresso and Raspberry Ripple. Other products used include Lacy Brocade Embossing Folder, Raspberry Ripple Ribbon, Papillon Potpourri Stamps, Beautiful Wings Embosslits and Bitty Banners Framelits. My Happy Mother's Day greeting is from the set Teeny Tiny Sentiments. All I have left to do now is write the recipe and get them in the Post, then it's mission accomplished. It's time for another Challenge with the Paper Craft Crew. Here is my Design Team Card this week. I've used the Natural Composition Specialty Designer Paper from the Annual Catalogue on this card along with stamps from Papillon Potpourri, Curly Cute and Bloomin' Marvelous. My Cardstock is Island Indigo and Very Vanilla, with an embossed vellum banner. The theme is Optional this week, to use Spring or Easter theme with the above sketch. Here is a closer look at the elements on my card. Why don't you pop on over to the Paper Craft Crew and see what the other designers have made this week. We would love for you to join in our challenge. Today I went to the funeral of a dear friend. She recently lost her life to Cancer and in the weeks leading up to her passing, she planned her service and how she wanted to be remembered. Today was to be a celebration of her life, however for those of us who loved her, it was too raw and so sad. While I'm feeling this way, I thought I'd use this sketch for a simple Sympathy card for the family. I'm not trying to win anything, just felt I needed to make this. So I've dedicated my card to Sue, but it's really to give to her husband Bob. I will also make another one for her Son and his family. Here is my card I've completed using the sketch below as my inspiration. 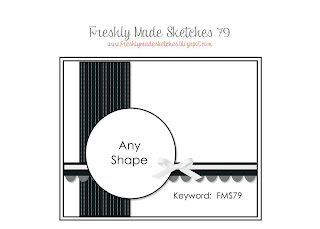 The Cardstock is Naturals Ivory, Calypso Coral, Early Espresso and Very Vanilla. I've made a vellum embossed flower using Floral Framelits and Lacy Brocade EF and a vellum overlay with the Honeycomb EF to soften the stamped images. Here is a card I made this evening from some of the leftover scraps from this weekends class, and what I had out on my table. I've used the Secret Garden Bundle and a Retired set of stamps called Well Scripted. We actually made an Oval Easter Easel card in class, with the Easter Greeting in that set and were using the Oval Framelits dies. One lady, folded the wrong oval, so I gave her a new one, and I've used it on this card (Pool Party). Once I'd run it through the Lacy Brocade Embossing Folder, you couldn't tell it had fold creases across the centre and the piece was salvaged. The base of the card is Island Indigo and I've added some of the SAB dsp trimmed with some Rich Razzleberry Card. My daughter wanted to make her own Birthday Cake this year. So she was at home baking today while I was at class, not home alone I might add. Gotta say, she really impressed us all, when we saw the inside. Very creative! Think we've run out of food colouring though. No help from Grandma, did it all by herself, including the mess in the kitchen, lol. Here is a piece, looks pretty cool. This is a picture of the girls, L to R Anna (sister), Courtney, Karree and Tuesday. I've used the Vine Embossing Folder from SAB, Secret Garden Bundle and Papillion Potpourri butterflies. The greeting is from the Feeling Sentimental set.